4-CPRC (crystal) is a new research chemical act as a psychostimulant.It is similar with 3-CMC. 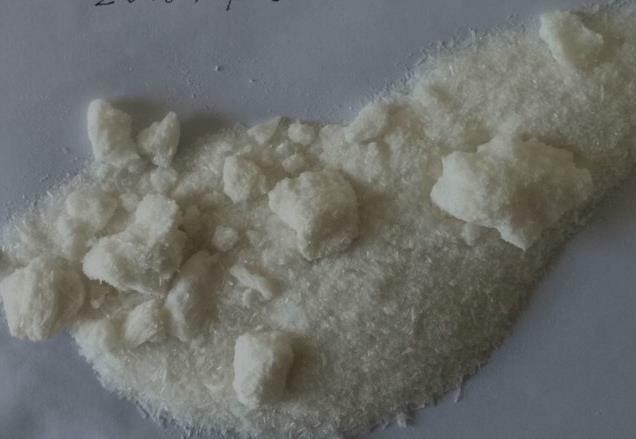 4-CPRC has various similarities with methcathinone and occurs as white crystals or as a white powder in some cases. It is also known as 4-CRrC or 4-Chloro-alpha-PPP (Pyrrolidinopropiophenone) and is a halogen-substitute of α-Pyrrolidinopropiophenone (alpha-PPP), a drug classified as a stimulant. Alpha-PPP's structure is similar to that of diethylpropion which is an appetite suppressant and studies have shown that it has similar effects when administered to animals. However little is known about the drug and studies are still underway. With these properties it can be used as a stimulant such as methcathinone and have dopamine releasing effects when ingested whilst interfering with the re-uptake of hormones such as epinephrine, norepinephrine and serotonin into the CNS (central nervous system). However, the drug is not recommended for human or veterinary use as information on its effects are still wanting.